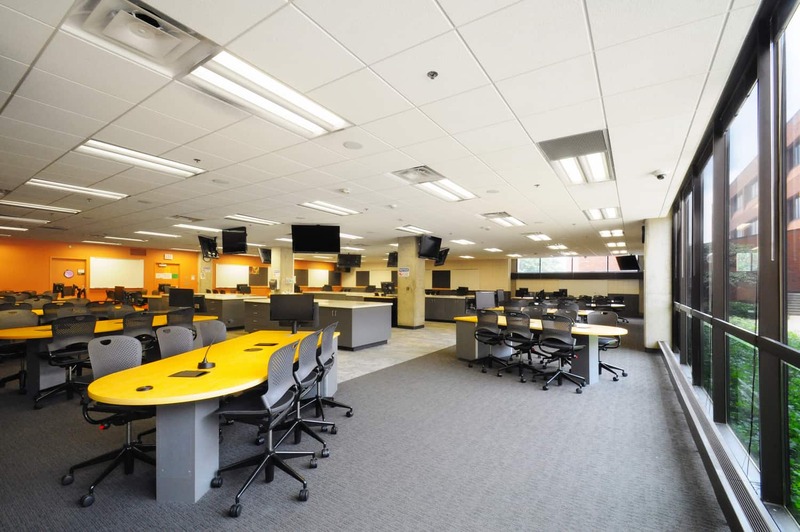 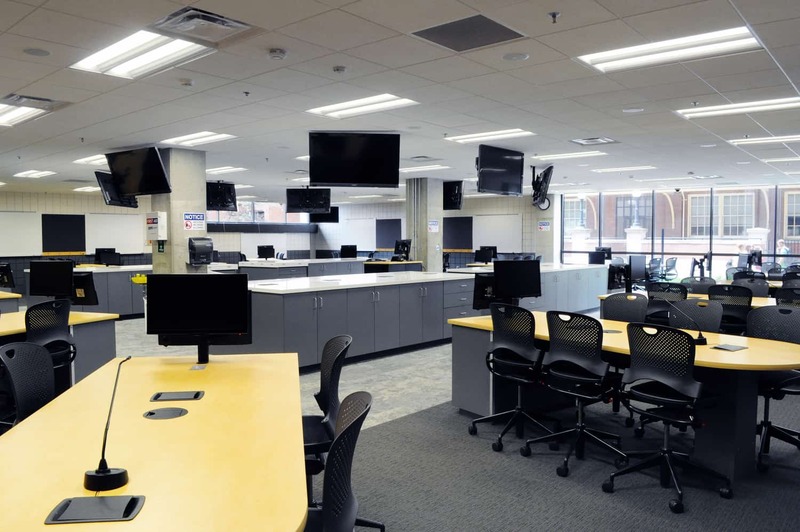 A laboratory for first-year students in the University of Minnesota’s Animal Science and Veterinary Medicine program, the renovation project aimed to take a classroom used more as a homeroom and upgrade it to be an active learning environment. 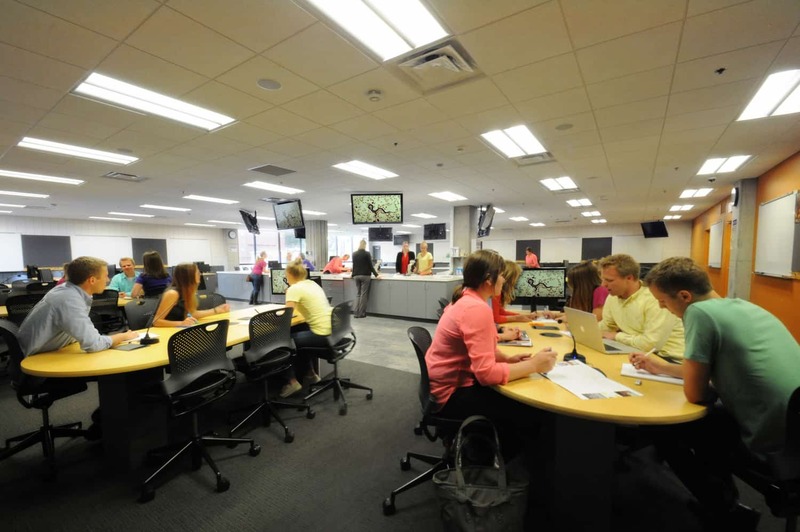 Removing barriers and replacing desks with group learning centers, the new design puts collaboration and discussion at the center of activity in the room. 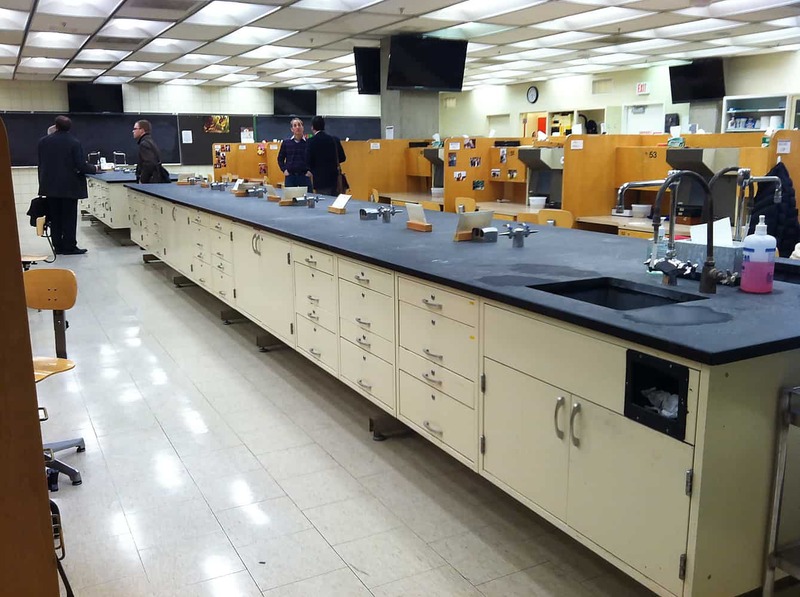 A laboratory bench demonstration station is featured at the center of the classroom, with group learning tables encircling the station. 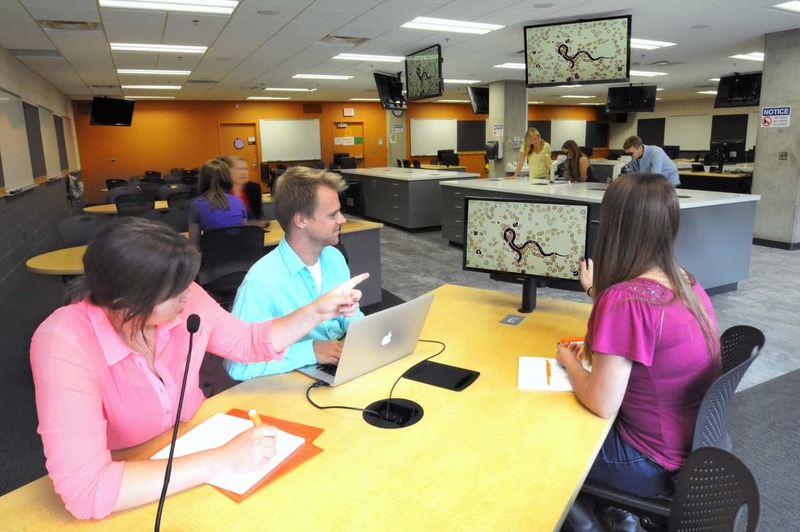 Instructors can push presentations to screens at the tables, creating a more interactive and connected environment. 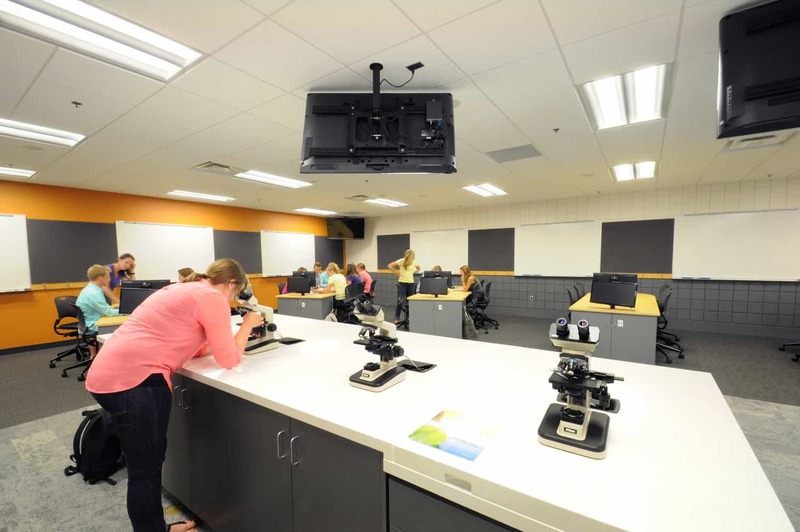 With 102 spots open for new students in the school, the room is now a place where class occurs and flexible to accommodate changing pedagogy in the future.